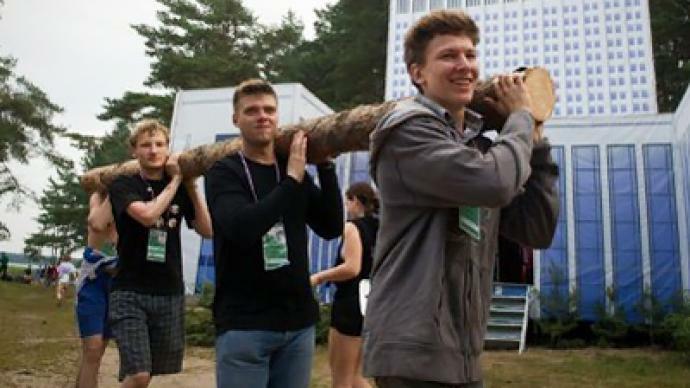 Russia's politically minded youth has gathered for a special summer camp set in idyllic surroundings. The 2011 Seliger International forum brings together young people from 70 nations to discuss Innovation, politics and the future of the mass media. ­“What they find is Russia offers a chance for Japanese people to meet with French and Brazilians, all at the same time. For me it's a concentration of globalization processes happening throughout the world,” says Mikhail Mamonov, head of the Seliger International Forum 2011. This is the second year that the forum has opened its doors to foreigners, and those who have come from abroad are looking to make contacts for the future here in Russia. 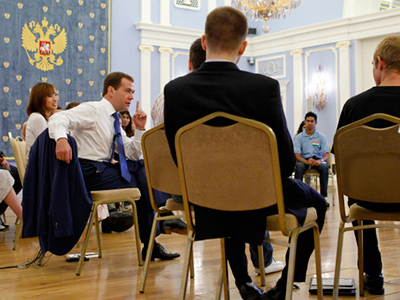 The site looks more like a music festival than the place to meet future world leaders. But those who come here hope that the contacts they make can help them reach the top of their field in the future. Aleksandr Rechitsky is part of a group that has designed a new computer operating system. Seliger gives him the chance to show his product to potential investors – he is here to drum up cash. “We have had meetings with many investors and established contacts that we are going to use after Seliger is over,” says Aleksandr. It is not just living breathing innovators that draw the crowds. They might be tipped as the future of global business, but they do love a robot, created by the National University of Science and Technology. The robot is not just as a crowd pleaser though, the team which developed it sees practical uses for him in education. “This robot can replace ill students at school or university, to enable their remote presence at the class, and submit their homework, tell stories and recite poems. This way, students stay at home, but they don't miss their classes,” explains Sergey Mardanov, one of the creators. The forum is not all about work though. 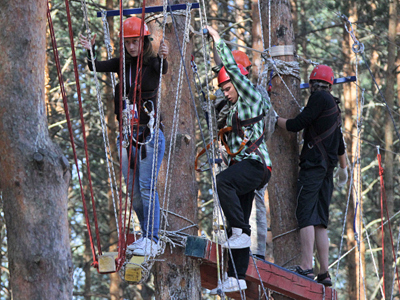 The organizers say they want to create the atmosphere of an active summer camp, so alongside discussions on the future of the electoral system, there is wall climbing, sailing and other activities. As with any festival, when it comes to camping there is always someone with a fancier tent than yours. 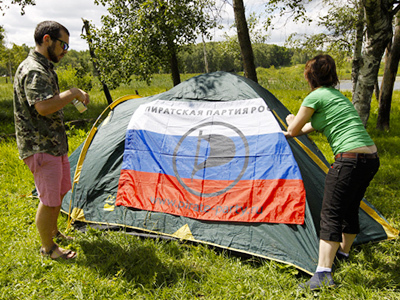 At Seliger there is even a tent made as a replica of the Moscow White House. And perhaps there is a chance that some of those attending the forum have ambitions of moving into the real White House one day.